Ближайшие даты проведения тренинга Microsoft CRM. * Описание курса Курс 80735 Инсталляция в Microsoft Dynamics CRM 2016 представлено на английском языке. Курс читается на русском языке. This course provides individuals with the skills to install Microsoft Dynamics CRM 2016. 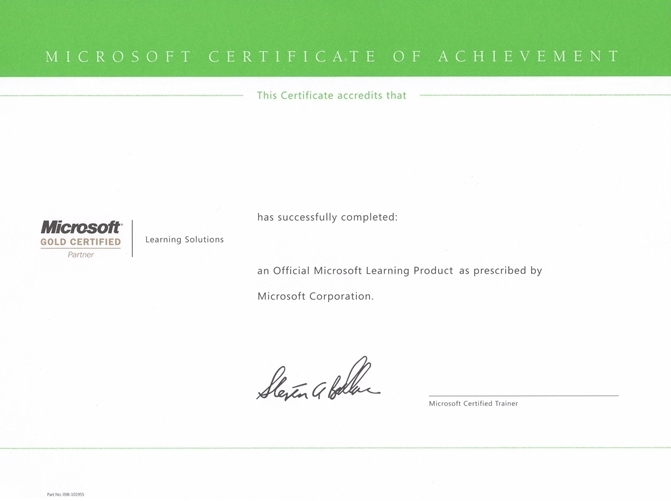 Additionally, this course focuses on the components used within a Microsoft Dynamics CRM deployment, the hardware and software requirements needed to successfully deploy Microsoft Dynamics CRM, and the installation instructions for the primary Microsoft Dynamics CRM components: the Microsoft Dynamics CRM Server, the E-Mail Router, and Microsoft Dynamics CRM for Office Outlook. The course also covers upgrading from earlier versions, and administration tasks. Because this training material focuses on customizing database entities, attributes, relationships, and mappings, it is recommended that individuals have a basic understanding of Microsoft SQL Server and relational database functionality.